Centre is to help to change the equation. control to provide excellent results. We have over a decade of experience innovating the intriguing treatment techniques. These enable our patients to recover quickly & safely. Our committed team will exceed your expectations. Vitiligo is a common skin disease in which there is loss of pigment from areas of the skin resulting in irregular white spots or patches. There are various types of treatment available for Vitiligo. Targated Phototherapy, Narrow Band UVB, Non Cultured Melanocyte Transplant & etc. Full body exposure to phototherapy enabling control of active patches and repigmentation thereafter. Dr Sanjay Dubey, a passionate dermatologist who believed that Vitiligo is not just another dermatological problem but needs a highly organised and focussed care and the best of available treatments. He has a devoted practice since last 18 years, only to Vitiligo.He is an M.D from KMC Mangalore,and has strong ideology for the vitiligo care. He has introduced the concept of combination NVB plus UVA without any use of Steroids or any other immunomodulators. This has created a paradigm shift in the approaches to treat vitiligo, for the upcoming dermatologists. Amazing place, people from my family and friends got treatment done for vitiligo and got good results. Doctor is very nice and gives best advice. Staff is also very helpful and understanding. Anyone having vitiligo should definitely come here. Best treatment in india. It's a highly recommended place to get vitiligo treated effectively as process of treatment is extremely easy and simple to follow and results are great. The staff here in delhi is extremely co-operative and understanding. At last found an expert medical expert Dr. DUBEY for the treatment of vitilago. Here my personal experience here makes me believe that still good doctors are available . Helpful staff makes you feel comfortable. Have patience for this treatment as SLOW AND STEADY WINS THE RACE. It is good place for white patches skin treatment. I was so upset about my daughter's White patches, now I m happy with its treatment. After struggling from Vitiligo for more than a decade, I had almost lost hope. I reached the clinic with doubt and scepticism, which was later transformed to hope and optimism. 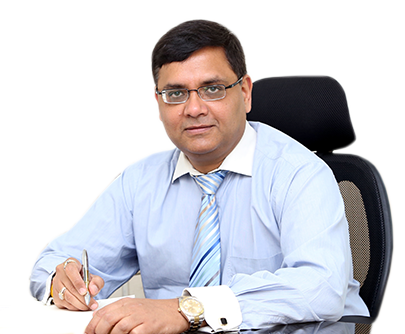 Dr Sanjay Dubey is not just skilled, but kind and compassionate; a mark that is rarely found in doctors these days. The staff members (Mohit, Manisha and Shaila) are extremely cooperative. I have been undergoing the treatment for almost two years now and the results are simply amazing. It is a rare joy to see your skin rid of white patches, an emotion only Vitiligo patients can understand. I just want to bless Dr Sanjay Dubey for bringing back the rays of hope to my life. Vitiligo is treatable, if we treat it in a right way. It very true that hard work and patience pays, we are very happy to share Melanocyte Transplant results over Palmer Aspect of hand on our Mumbai Vitiligo patient. © 2018 Maharshi Vitiligo Centre. All Rights Reserved.